"Who Else Wants A Free Mini Course To Learn How To Take Better Photos With Their Digital Camera?" Send me my free 10 part "Digital Photo Secrets" email mini-course today! My name is Mark McKnight and I've been interested in Photography ever since I was old enough to hold a camera. 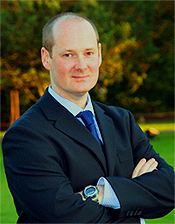 Over the years I've gained a vast amount of knowledge and experience in Digital Photography. As a digital photography enthusiast, it is my goal to share this knowledge and experience, free of charge, with as many people as possible in order to help them become proficient in the art of digital photography also. Feel free to browse through my website at your leisure for lots of information about Digital Photography, or signup for my 10-part photography email course below, where you'll receive one lesson per day to your email inbox. I thought your mini-course was very good. It was easy to read and understand. After reading the course people should understand how these camera settings work and how to use them. What terms like Aperture, Shutter Speed, Focal Length and F-Stop mean? I explain them in easy-to-understand terms. 3 fundamental principles of photography and how to use them to create consistently better photos that turn out the way you planned. 3 more things you must get right when it comes to capturing your subject and getting a crisp, clear image preventing your photos from looking rubbish. Which 2 elements of photography you need to combine to get the correct exposure in every photograph and improve your skills as photographer. The most useful and invaluable little tip you’ll ever get when it comes getting the correct exposure in your photos and how you can use it to create a few interesting or arty effects deliberately and not just by accident. ISO and how you can use it to expand the capabilities of your camera by using the relationship between Aperture, ISO and Shutterspeed to take back control over your pictures and get what you ACTUALLY want. Why your pictures don't print out exactly how you see them on your computer screen due to file compression and also learn how your digital camera compresses your photos. 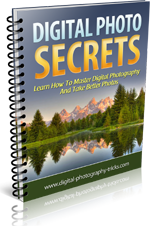 Sign Up For Your Free Digital Photo Secrets Mini-course Newsletter Right Now!